When the show was conceived he was one farmer that we knew we wanted to interview, maybe it would take months, or even years, but it was a goal we set. 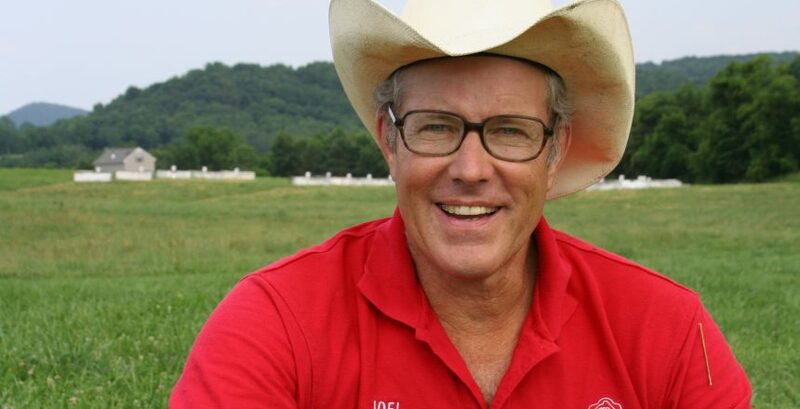 He’s an author, farmer, speaker, and all around Intellectual Agrarian, you already know his name because you’ve read the title of the episode: Mr. Joel Salatin. With Joel we’ll be talking about what got him into farming, how to integrate multiple generations into your businesses, why he isn’t Certified Organic, what it means be an Intellectual Agrarian, and so much more. This a great episode, it runs longer than most, but you don’t want to miss it! Polyface’s start in Sustainability started with his grandfather’s interest and commitment to “Organic” farming practices in his backyard garden. Keys to multigenerational businesses/farms: 1. Work can never be punishment. 2. Be quick on praise, slow on criticism. 3. Really create a climate where the children can have a entrepreneurial project of their own. Allowing your children to interact strategically with the adult world can give them a jump start toward a productive adulthood. The name Polyface was with the intention of appreciating the diversity of people, enterprises and critters that formed the farm. Wildlife shouldn’t suffer because of a productive farm, farming and wildlife can go hand in hand. Biological biodiversity on the farm is the first step to preventing the necessity of pesticides and insecticides, acting as checks and balances in nature, which our political system mirrors. Concentrated animal factory systems are perfect models for encouraging pathogenicity. If you want to eat better or learn what to look for you have to learn the skillset through time, practice and experience. There’s an epidemic of Rural Brain-Drain, with the smart kids leaving the farms because they don’t think it presents opportunity. The Little House on the Prairie books offer an example of what meaningful community involvement looks like.